With an abundance of fresh, clean washcloths and a big wooden basket, I had an idea for the perfect daily routine. Every day, when it’s time to wash my face, I pull out a clean washcloth, and when I’m finished with that, I dig into a bag of cotton balls for my toner. This week, I thought it might be a good idea to just go ahead and wrap a couple cotton balls into each washcloth so I’d just have to take one bundle to the bathroom, but that thought led to another fun project. I decided to tie up each bundle with a little tag containing a inspirational message. I gathered up as many beauty quotes as I had bundles, mixed them up and tied them on so that each day would be a surprise. That wasn’t enough, though, because I’ve now seen all the quotes. 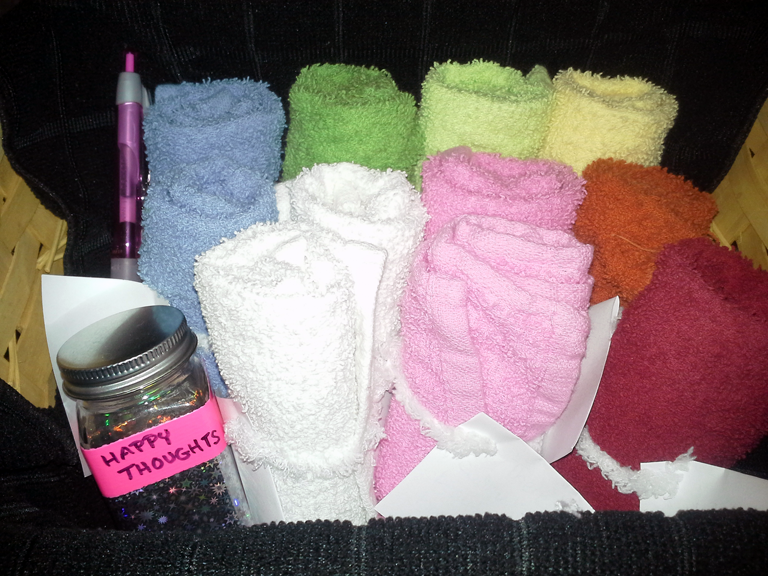 In order to keep them relevant and thought-provoking, I’ve added a Happy Thoughts jar (and pen) to the basket. When I’m done washing my face, I take the tag and consider how the quote relates to something positive in my life. 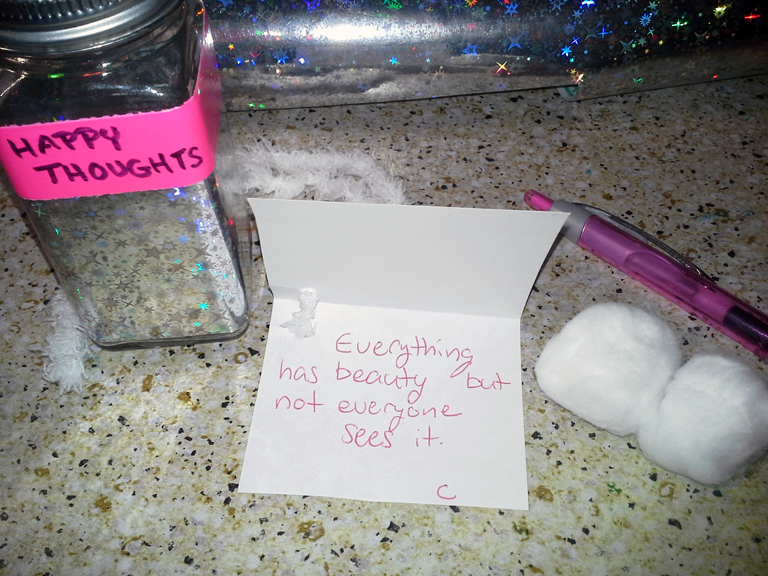 I write it down and put the tag in the jar for later. When it’s time to do laundry and refill my basket, I’ll read all the notes I’ve left myself.  I may end up scrapbooking or making a collage from the notes when I have several jars full, but for now the only plan I have is to type up a summary of my notes to share on this blog. I have 10 more days left in the basket, so you can expect my first Happy Thoughts post around February 9th. Previous Post coffee and sugar scrub, please.